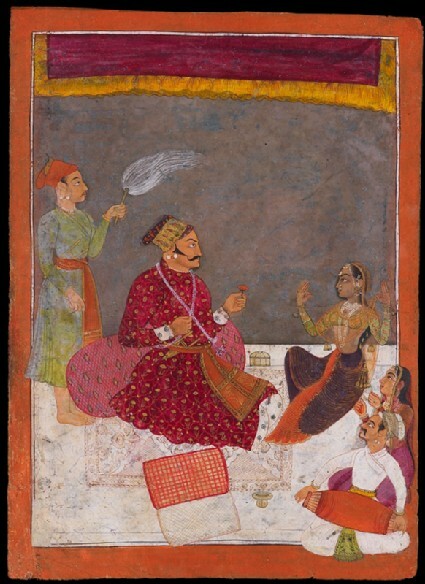 His duties for the day over, Dhiraj Singh enjoys a nautch or dance performance on a palace terrace. The dark-skinned nautch girl half-kneels in a kathak dance pose, her hands raised with thumb and finger joined in an expressive gesture. Verging into the picture border, her companion with cymbals and a pakhavaj drummer beat out the rapid rhythms of the dance.